TRUE BLUE laser color!! 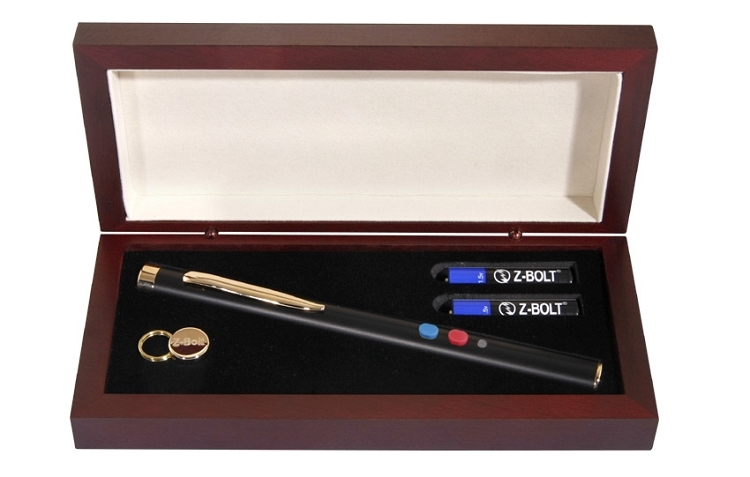 The BTG-4 is a multi-color, dual switch red & blue laser pointer. Great for presentations & briefings! 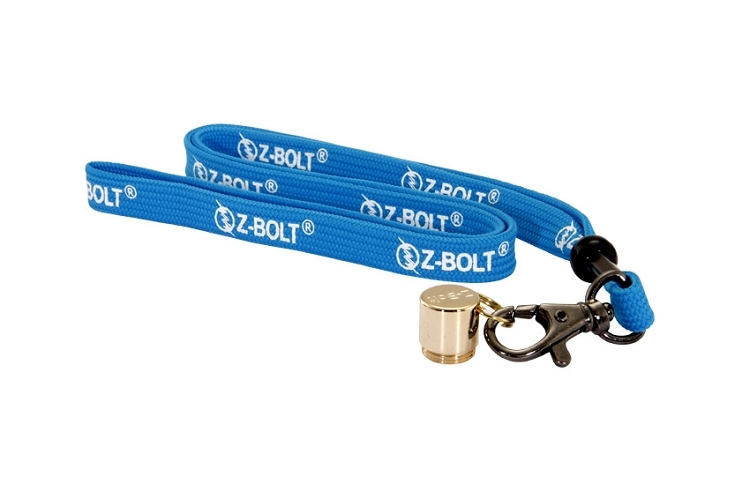 Z-Bolt® Certified Power (blue diode); blue nylon lanyard & accessory end cap; gift case. The BTG-4 features guaranteed Z-Bolt® Certified Power for the brightest possible daylight dot; most visible nighttime beam. 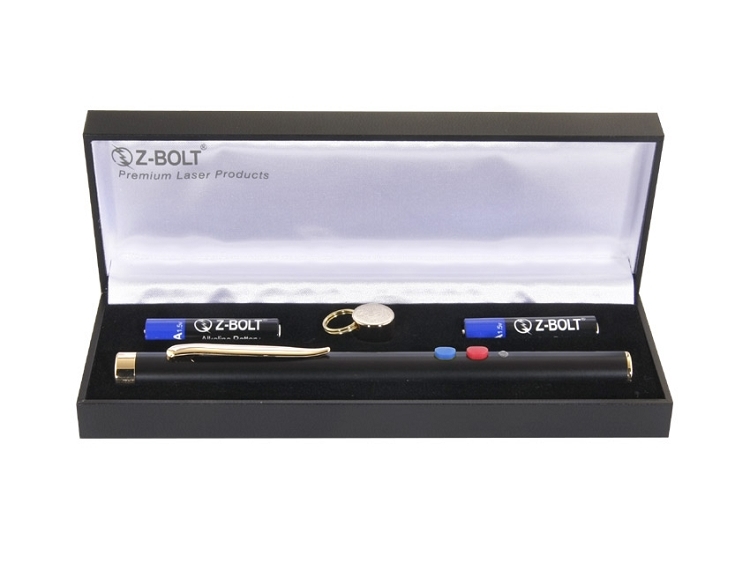 Each Z-Bolt® Certified Power blue laser pointer is factory tuned & calibrated, then tested & certified on a laser power meter. These Certified Power units are rated at 4.0 to 5.0 mW power output and are 2 to 3 times brighter than standard Class IIIa units - all ship with our exclusive Laser Power Output Certificates. 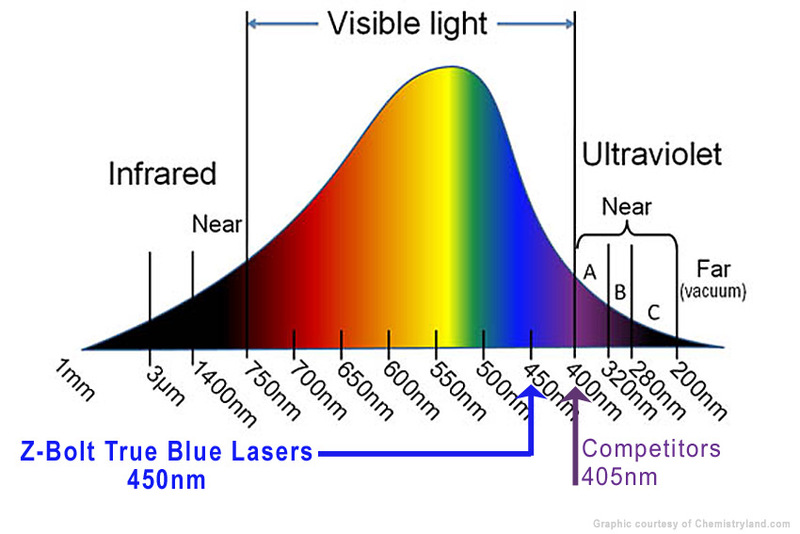 The BTG-4 features true blue 445~455nm blue laser light (not 405nm violet/purple) The new design blue laser module operates on 2 pcs AAA batteries. Projects a brilliant sapphire blue laser beam and dot. Visible beam at night - dot only during daytime hours. Six (6) hours constant on operation. The Z-Bolt® BTG-4 is the product of new design technologies and manufacturing efficiencies. Z-Bolt® Sapphire Series laser pointers are fabricated with InGaN semiconductors, which emit blue laser light without frequency-doubling. Blue laser is eye safe - ANSI Class 3R and FDA Class IIIa.